National Car Transport offers competitive auto transport prices and excellent service. Give them a call or go online to see what kinds of special discounts they are offering. They also offer multi-car discounts. When they pick up and deliver your car you will receive free onsite inspections. Car shipping payment options include Pay Pal, Master Card, Visa, Discover, American Express, and checks. Contact National Car Transport, and they can answer any questions you have. You can even login online to their website and call them via Skype. 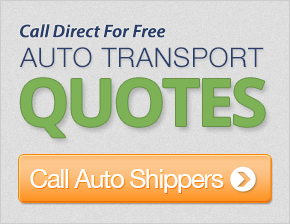 Get a free auto shipping quote now and save up to 50% at CarMoves.com. Once your vehicle is in the process of being shipped you can track it on their website as well. All the personnel I interacted with were friendly and helpful, most especially the gentleman who checked the car out to us in Honolulu. The car was undamaged and, overall, we were very satisfied. I would recommend your company to others. I experienced great service, which exceeded my expectations. My car was picked up and delivered as scheduled. Thanks! We had an excellent customer service representative. She handled a very difficult situation for me in an efficient and tactful manner. Thank you! Overall, I had a very good experience. My car was delivered very quickly From Chicago to Everett, WA in less than a week. The service all around was very positive - I would recommend this company to everyone. My driver was fantastic and very courteous. I would definitely use this company again and had no issues at all. They understood I needed my car shipped very quickly, and, although the price was higher than I was expecting, they made it very simple for me to get it on the way in time for me to move. Thanks! Customer support was very personable. They responded quickly via e-mail or phone. Thus, I had a smooth and efficient transport. We will recommend you to any friends or family who have car transportation needs. Thank you! Great price, great service, timely delivery - all as promised. Very positive customer experience and I would highly recommend them to friends! I am very happy, as everything turned out fine. Thanks again. Customer service was excellent in reporting back to us whenever we had questions or wanted a status update. They were precise in stating that it would take a couple days. They coordinated well with the driver to let us know when he would be arriving and what he need from us on arrival. They presented themselves as a seamless team that communicates well with each other to provide us with the utmost customer care. Thank you so much - keep up the good work. Our service was wonderful - we will definitely refer other people! Thank you! Very satisfied with the speedy service. My car went from San Diego, CA to Auburn in 72 hours. You were priced well, and delivery was fast and great! They took time out of their busy schedule to get my car shipped when I had a short time frame. Thank you! Driver was a bit early but prompt upon delivery. We had two vehicles moved, and we are extremely pleased with the service. The truck drivers were very nice to talk to. Thank you so much! My car arrived in Utah on time and all my car stereo equipment was safe and secure inside my vehicle. My experience went very well. My customer service representative was very professional during our conversations. The car was picked up on time. I would use you again because your service was good. Thanks!